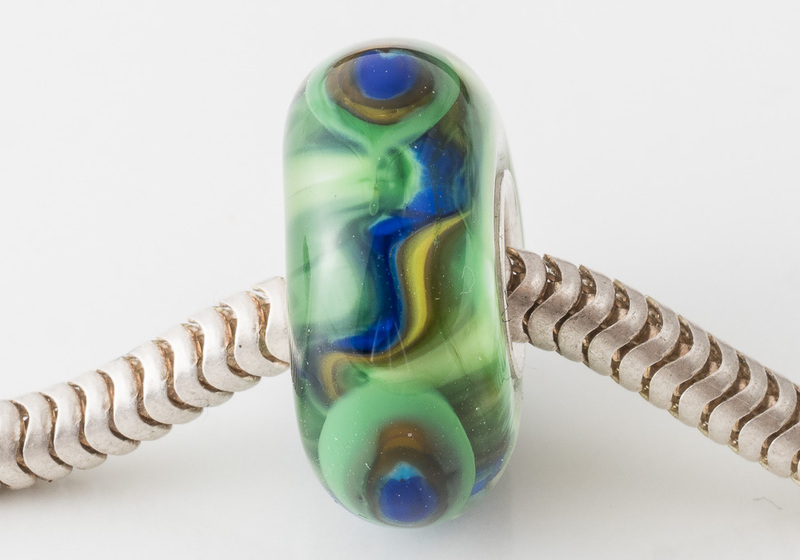 A big holed charm bead in peacock colours with a sterling silver solid core. The bead measures 17x8mm with a 5.5mm diameter and will fit any bracelet system. Each bead has been designed and hand-made by me at Ciel Creations and finally kiln annealed for strength and durability. Please note that the bracelet is not sold with this bead.